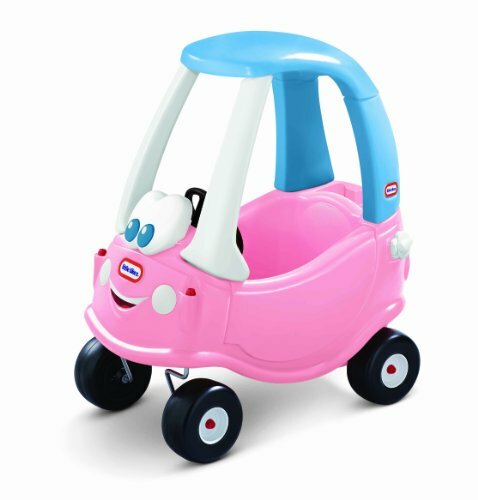 Cars, Jeeps, Motorcycles and anything else with wheels is available as toddler ride toys. They ride, you push, and a good time is had by all. Anything you can think of is available including inflatable reindeer bouncers, ride on puppies and even a Disney Minnie Plane ride on toy. These ride on toys are great for developing balance and motor skills. They are also fantastic exercise and will improve your child’s coordination and imaginative play skills. 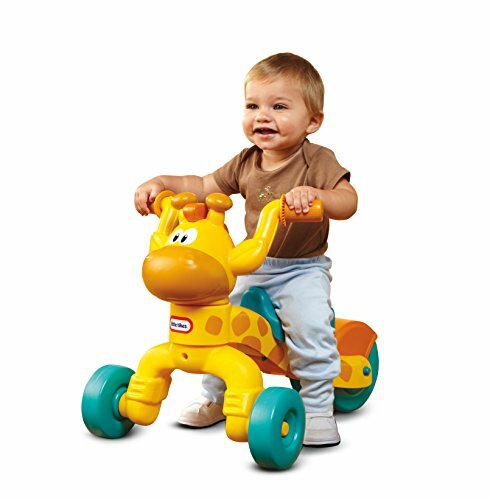 The Little Tikes Rollin’ Giraffe ride on toy comes complete with spot decals to enhance the friendly and fun experience for your toddler. The adjustable seat and over-sized back wheels provide for a more stable and safe ride and this toddler riding toy can be used inside and outdoors. This toy is recommended for kids between one and three years and has a weight limit of up to 50 pounds. This push car up with your toddler and supplies for the ride. It comes complete with 6 cup and snack holders and an easy access door for your toddler. This is a multi-purpose ride toy with a seat that flips into a flat bed, seat or table. Built to last and comes with storage under the hood of this car design. The handle can be folded underneath the car body to aid in the transport and storage. Great ride on toy for toddlers 18 months to 4 years. Ideal for use both indoor and out on any smooth surface the multi-direction caster wheels allow a toddler to ride and easily control this toy in any direction. The recommended age is between 12 to 36 months and the Ybike Pewi will not damage or mark floors due to its non marking rubber wheels. The innovative design allows for toddlers a versatile toy with many options. 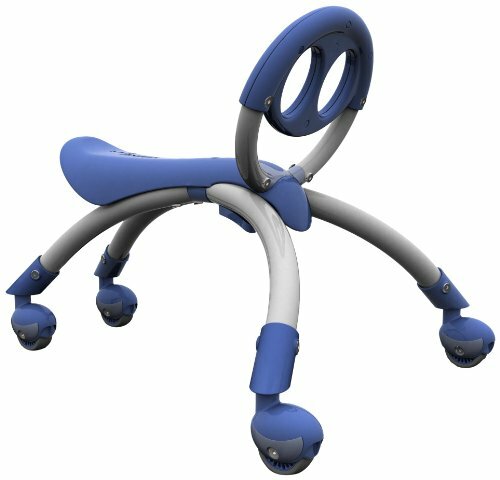 It is a sit on walker for when a child’s feet can touch the floor and also a stand up walker that provides stability while a child is developing confidence on their feet. This is a durable toy that can handle up to 44 pounds. What would a princess do without a cozy little princess coupe to ride in? The drivers door opens and closes for realistic role playing and the easy grip steering wheel has a working horn in case of a traffic jam on the way to the ball. This is a kid powered toy that will aid in imaginative play and building muscle and motor movement skills. It is the perfect ride on toy for the princess between the ages of 18 months to 5 years. It has a removable floor and handle on the back for a parent controlled ride. Maximum balance, support and safety with the extra wide front wheelbase. 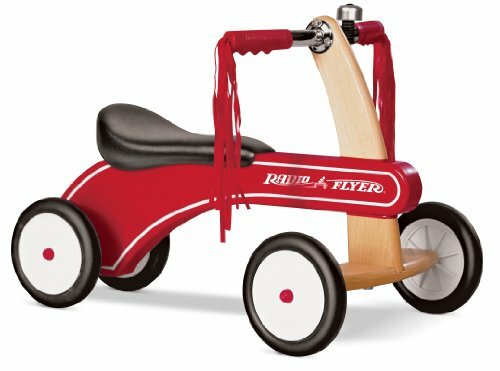 This classic trike has a weight capacity of 40 pounds and is recommended for ages 18 months to 3 years. It has working steering and molded wheels for a smooth and is crafted with real wood for durability. The padded seat is comfortable and safe and the chrome handlebars come with handgrips, streamers and a ringing bell. This classic has been a best seller in many forms for over 25 years. You just can’t go wrong with this classic trike. This toy is more than just a ride on and comes with lots of fun lights and sounds. 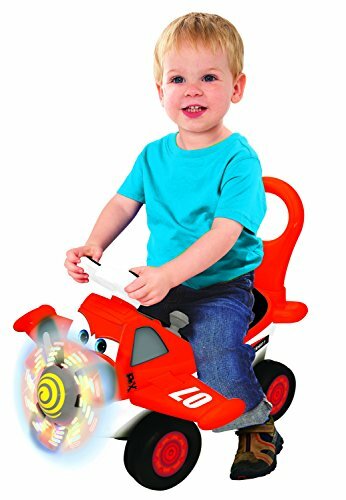 This is a fun and colorful toy and is great for imaginative and realistic airplane play with lift off and landing sounds as well as a honking horn. The maximum weight is 50 pounds and this ride on toy is designed for the 1 to 3 year old. It even plays music and the propellers rotate to amazing light up patterns. This is a Disney themed toy and your toddler can pretend to be Dusty and recreate their favorite scenes from the movie. 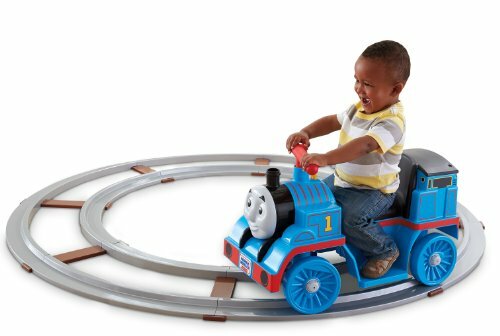 Lots of toddler friendly features on this fun toy. It can be used indoors and outdoors and comes with a push button operation for easy stop and go. Safety first with a 1mph maximum speed on the track and 2mph off the track. 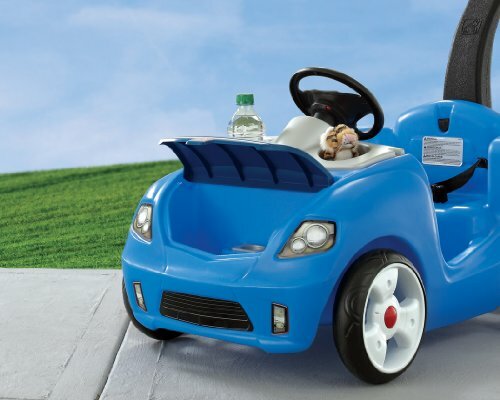 This fun and colorful ride toy includes a 6 volt battery and charger. The track allows toddlers as young as 12 months ride around before they get comfortable enough to go free wheelin without the track. It has a weight limit of 40 pounds and is recommended for ages 1 to 3 years. 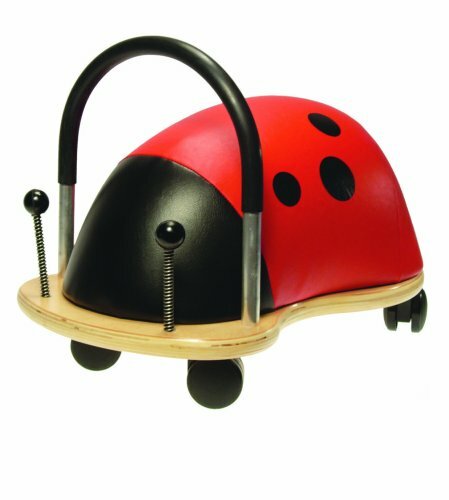 The Ladybug ride on goes in all directions and is great for smooth surfaces both inside and out. This toy will help to promote gross motor skills and build confidence and balance skills. It is colorful and fun and is designed to last for years, it can be passed on to the next lucky toddler. Easy to keep clean and comes with a padded seat and smooth corners for comfort and safety.